This Saturday, January 13th, our speaker will be Edward DeAguilera, presenting on Project Amigo. The program works to end poverty through education. The presentation looks amazing and we're fortunate to have Mr. DeAguilera with us! There will be a Board Meeting immediately following the membership meeting. 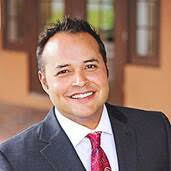 Edward DeAguilera serves at the United States Chief Development Officer for Project Amigo. With nearly 20 years of experience as a non-profit professional, Edward brings a unique blend of expertise to Project Amigo. Previously Edward served as the Executive Director at the Down Syndrome Association of Central Florida where he was responsible for overseeing the annual strategic planning/investment. In addition, DeAguilera managed, grants, marketing, communications, volunteer engagement and public policy strategy. Edward was born and raised in Orlando, FL and previously served as a Director of the Hispanic Chamber of Commerce of Metro Orlando for nearly 6 years. He was also a Commissioner in Orange County, FL's Charter Review Commission, that controlled and directed and initiatives for the local government charter (local constitution). He has been very active in his community serving in various Board of Directors including: Orlando Health Foundation, US Census, United Way Chef's Gala among others. He is a graduate of Columbia College and of the University of Central Florida and received a degree in Political Science. Edward and his wife Freda have 2 children: Delaney and Edward. Saturday, January 20th, there will be a special meeting for the entire membership. Think of it as Where We Are Now and Looking Ahead. The purpose is to present and discuss club goals, progress and next steps. Please join! Saturday, January 27th, our guest speaker will be Dennis McMillian, presenting Evolution of Organization in the 21st Century. More details to come! You could win a stay in Bordeaux, France! Reserve yours today by contacting Floyd Shilanski. The Sue Foley Excellence in Service Award: Expect more details on the origins and purpose of this award during the meeting on the 13th. The recipient may be a Rotarian or not, but should exemplify excellence in service to his or her community. We present this award during our meeting at the 5010 District Conference. We need nominations ASAP! Please let us know who your nominee is (and where), and what they do that you think should be considered. Thank you! The 5010 District Conference is seeking photographs of club members in action! Each club in the district will have a short photo/club summary presented. As an extra motivator, photos contributed will be submitted to a professionally-judged photo contest as well. More details will be forthcoming, but start thinking about what you might be able to show and tell. Welcome to the District 5010 eClub!